At this time next week, I will be on a flight back to Boston. I’ll be going back to a city that is drastically different than Netanya, the place I have called home for almost ten months. I’m going to miss this place, for the most part. 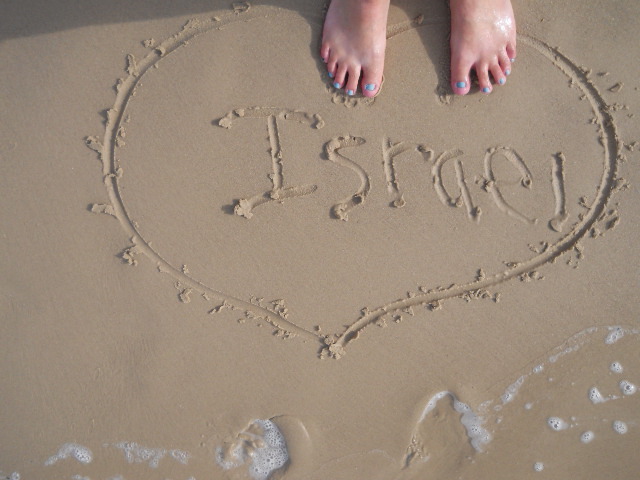 I get different responses from both Israelis and various Masa participants when I tell them that I live in Netanya. The Israelis ask me if the mafia is still a problem. Some Masa participants tell me that they’re jealous of the beach. My madrich informed my group about all the suicide bombings that were carried out by Palestinian terrorists in the early 2000’s, these places being places I see every week. Netanya is home to all different kinds of people, delicious food and is only a forty-minute sherut ride to Tel Aviv. It will be hard to say goodbye. I will miss the Russian convenience store around the corner that always cards me for alcohol after I’ve purchased it. I will miss the Russian convenience store across the street from my apartment that stays open on Shabbat. I will miss the bakeries, cafés, falafel and all the other food establishments nearby. I have never run out of places to eat around here. I will miss the mall with the cheap grocery store downstairs and the Aroma. I will miss the Promenade with its endless stream of pizza places, bakeries and souvenir shops. I will miss my gym, my school and the sunsets that every early evening provides. I will miss the beach, even if I’m not a beach girl. So there are many things to miss about this place. My apartment, on the other hand, is not a place I will miss whatsoever. My cohort was certainly not expecting to live in a mansion, but we have grown up living in respectable living conditions in America and Canada. This ramshackle building that we live in would be knocked down in America so fast due to all the health and fire code violations. The higher-ups ever so conveniently forgot to tell my cohort that we would be living above a mental institution. We have had issues with the patients coming onto the floors that we live on and trying to enter our rooms, plus the front doors of the building don’t lock, so people can come in and enter when they please. The patients also smoke inside the building and how this isn’t a fire hazard is beyond me. (We also only have a fire extinguisher in the lobby, so we are out of luck if there is a fire on any of the floors above it.) The washing machine has broken and stained clothes several times. It was me who had to give up a Sunday afternoon to stay with the technician; isn’t this the landlord’s job? The air conditioner/heater circulates dry air and dust, thus aggravating my bronchitis, in addition to the smoke from the patients from the mental institution. There are mold problems, too. We have a stray cat, Toolie, who has yet to leave the building because the front doors don’t shut and when he started to leave his marks on the floors, we had to clean them up, even though we have no legal responsibility over this cat. The showers flood the bathrooms and some of the rooms, including mine, have cockroaches that never seem to leave. Other rooms have had their own issues. We could deal with the fact that we don’t have kitchens and that our balcony looks like a nuclear wasteland, but everything else? It’s frustrating. We all came to this country to give up ten months of our lives to teach English, make the equivalent of $286 a month and aren’t provided with healthy living conditions. Needless to say, I’m giving my landlord a hug when I return home, for he actually fixes things in the building I have lived in for ten years. I never thought I would appreciate a bathtub, no smoking in the hallways and not only does my building have a washing machine that works, but there are more than one. When I first applied to this program, my program organizer offered the choices of Netanya, Beit She’an and Be’er Sheva. 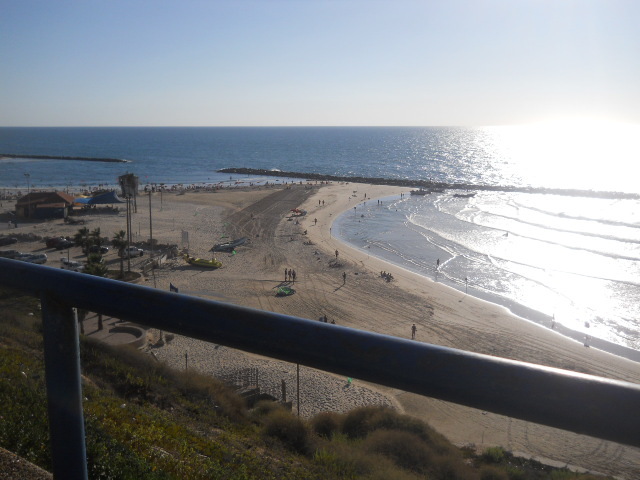 Netanya had a nice beach, was far from rocket fire and not too far from Tel Aviv. I had no desire to live in the desert of Beit She’an and not wanting to relive my college experience, I didn’t want to be in the university part of Be’er Sheva that the Fellows there would be living in. Each of the cities has their own plusses and minuses. I had my final Shabbat dinner with my teacher, Merav, her husband and their children last night and the husband had told me that my experience in Netanya was a two-sided coin. All the cities that Israel Teaching Fellows work and live in have advantages and disadvantages. I have only seen one of the apartments that some of the Fellows in Petah Tikva get and I was insanely jealous—a washer and dryer in an actual kitchen, a living room, a bathtub and a shower with glass doors, huge bedrooms with beautiful closets, a dining area and a front door that requires a code to get in. But then I thought about what they don’t have. Their city shuts down on Shabbat and they don’t have as many English speakers as my city does. 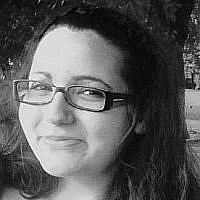 I don’t know what my experience would’ve been like had I been working and living in Petah Tikva, so I try and focus on what Netanya has to offer. My issues are not with Netanya, but with the building and the complete disregard for the health and well-being of the Fellows who live in it. When asked for suggestions about how to improve the program for the next batch of Netanya-ITF’ers, the support for moving to a better building was unanimous. We were told that there was an option for the Fellows to be placed in a different building that was also owned by the useless landlord, but instead, the new Fellows will placed back into this building. Hopefully their bronchitis won’t be as bad as mine. I am blessed with a beautiful sunset full of colors in Netanya that makes my skin glow honey-dipped. I try and remember that when I think about Netanya. I also think about the beach and the cool water. I like water on my feet. And I sure get plenty of water on my feet since a water pipe randomly exploded in my bathroom earlier this afternoon and flooded the entire bathroom and kitchen. Good luck, ITF-Netanya 2014-2015. You’re gonna need it!